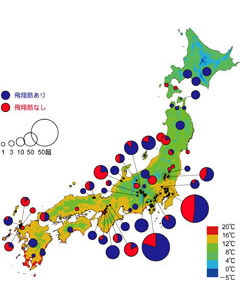 池田紘士 (2011) 飛べないシデムシ―その生態と系統地理―. 昆蟲(ニューシリーズ) 14: 133-138. 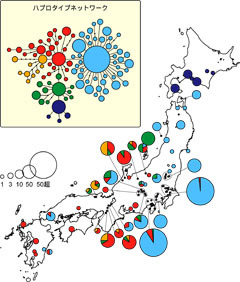 Ikeda H, Kagaya T, Kubota K, Abe T. (2008) Evolutionary relationships among food habit, loss of flight, and reproductive traits: Life history evolution in the Silphinae (Coleoptera: Silphidae). Evolution 62: 2065-2079. 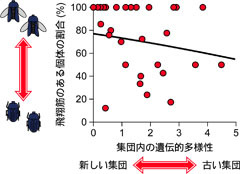 Ikeda H, Kubota K, Kagaya T, Abe T. (2007) Flight capability and food habits of silphine beetles: are flightless species really "carrion beetles"? Ecol. Res. 22: 237-241. 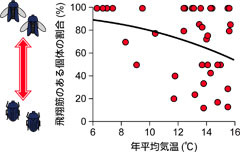 Ikeda H, Sota T. (2011) Macro-scale evolutionary patterns of flight muscle dimorphism in the carrion beetle Necrophila japonica. Ecol. Evol. 1: 97-105.